I didn't get all of the fabric ironed, trimmed and organized this week, but I did think it was time this week for a picture update! I will admit that there are a few pieces pulled out until I am done with my projects, so the left overs will be folded into the cubes or if less than 1/8 yard I will put them in the scrap bin. Sorry, no finishes this week, but I am making good progress!! 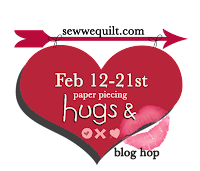 Don't forget to go visit all those who have posted for the first week of the Hugs & Kisses Blog Hop with Sew We Quilt!! 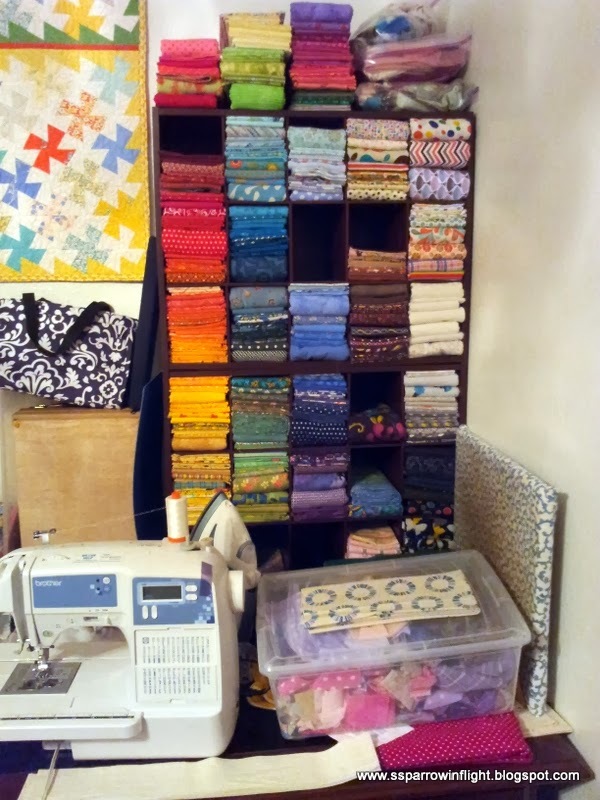 If only I could have a stash as organized as yours! That fabric begs one to come pet it! What Do I plan to Work On for FNSI? ?